We welcome Edinburgh-based blogger and podcaster Beercast Rich to the show and talk about the latest craft beer news on the other side of the pond, including: CAMRA, the cask vs. keg debate, Brewdog’s role in UK beer culture, some exciting Scottish brewers you’ve never heard of, and more. 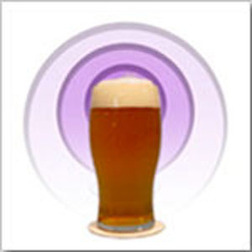 Check our The Beercast blog and podcast and follow Rich on Twitter. The Aleheads are on Stitcher! Download us to your computer or sync to your mobile devices with iTunes. Posted in All Beers Considered, Interviews, The Maltercation.Tagged Beercast Rich, BrewDog, Craft Beer, podcast, Scotland, Scottish Beer, The Beercast, UK Beer. the stout you were thinking of is Courage Russian Imperial stout, now brewed by Wells and Youngs. Its still going to be released in the UK, just not the first batch. A pile of beer writers got bottles for review though. Yep that’s it, thanks Steve. Cheers! Heh, that pile didn’t extend to us, hence me scrabbling to remember the name!